With the prospect of warmer weather to come (the end of April was a little chilly! ), I thought I’d get you thinking exotic, with a trip to Hawaii for one of our most relaxing massages – Lomi Lomi or Hawaiian massage. Throughout the month of May, Just Massage is offering a 20% discount on 60 and 90 minute Hawaiian massages (Lomi Lomi). Offer valid up to and including 31 May 2017. Spring is just around the corner (for the Met office, today IS officially the first day of Spring) so as the weather starts to warm up, de-stress and chase away those tensions in your upper body with our Indian Head massage. This month we have a special offer on a one-hour Swedish massage. So what is Swedish massage all about? Well, it was developed, quite logically by … a Swede by the name of Per Henrik Ling. He used his knowledge in physiology to conceive a method combining massage and physical exercise. Treatment begins with effleurage, followed by kneading, friction, vibrations and percussion techniques. 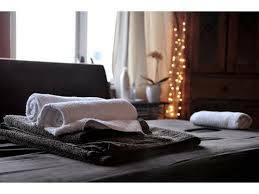 Swedish Massage stimulates the body’s circulation and so helps cleanse and nourish soft tissues by bringing more oxygen and nutrients to cells. It relaxes tense muscles and improves muscle tone. It stimulates the body’s system to greater efficiency. Discover Swedish massage this month at the special price of 40€ instead of 50€ for a one-hour massage. 21st to 29th December inclusive. So book now for a last minute massage (see our December special offer). And order your Christmas gift vouchers NOW to avoid disappointment.